The system is designed for the destruction of various surface ships from an enemy’s landing squadrons, convoys, carrier strike groups, as well as single vessels and land-based radiocontrast targets in conditions of intensive fire and electronic countermeasures. After the vertical launch the missile’s turbojet engine is capable of flying at a cruise speed of Mach 0.8 for about 180 kilometers after that point the warhead section separates and a solid rocket engine ignites allowing at a top speed of Mach 2.5-3 for about 40 kilometers. The missile can maneuver at 10G acceleration to avoid enemy interception by air-to-air or surface-air missiles. The missile design and performance is very similar to Russia’s 3M54E which may have been the template for the YJ-18. 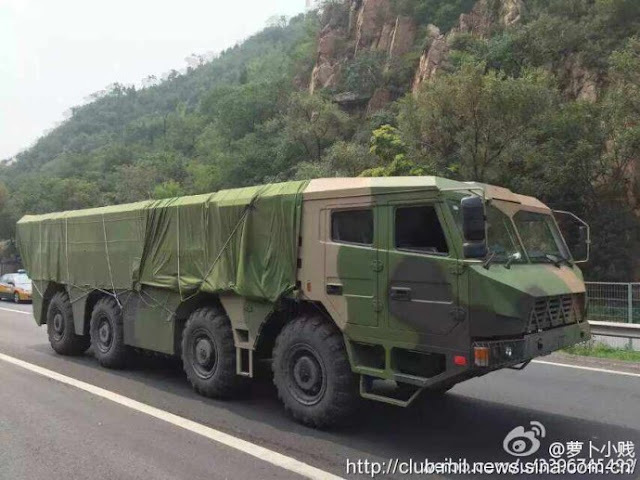 YJ-18 coastal defence missile systems.